Surprise! Earlier this week, word got around that Daredevil Season 2 might go head to head against Batman and Superman with a March 25 premiere, but it seems Matt Murdock will beat even the world’s finest to the punch. 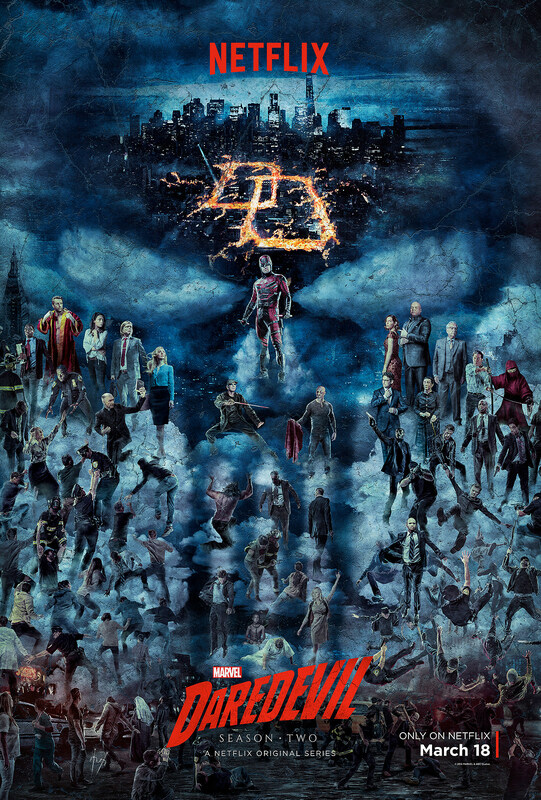 Not only will we have Daredevil Season 2 a week earlier, but check out the latest teaser and poster! Elsewhere of Daredevil Season 2, we know for sure that Rosario Dawson has been confirmed to reprise her role as Claire Temple, along with Scott Glenn’s Stick. In addition to Elodie Yung’s Elektra and Jon Bernthal’s Punisher, past Bullseye reports listed Marvel’s Mister Fear and Spider-Man villain Mysterio as potential villains for the season as well, though no confirmations have emerged. Drew Goddard remains aboard as a consultant, though the series has changed showrunners from Steven DeKnight to Marco Rodriguez and Doug Petrie. In the meantime, check out photos and trailers of Netflix’s Daredevil Season 2 below, and stay tuned for the latest developments!